Wednesday was a particularly quiet day, as many people decided to get an early start to the long weekend. My inbox was slow, my phone was quiet, and I even had a chance to meet some former coworkers for lunch. I left work at a normal hour, feeling like I’d accomplished a decent amount during the day, all without the being rushed. The best part of the day was that I was home early enough to pop open some kosher bubbly and make matzah lasagna for dinner. 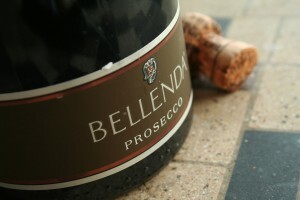 The Bellenda Prosecco (winery, snooth) was a dark lemon color with good, big bubbles. On the nose, there were pears, apricots, peaches, and grilled pineapples that smelled as if they were soaking in apple juice. In the mouth, there were apples and pears on the attack, but the flavor fell off almost immediately, leaving a chalk dust and basil aftertaste behind. The sparkler had medium acidity and a medium body. Is this worth a glass after work? Eh…if you have a bottle on hand, drink it, but I wouldn’t go searching it out either. At $20, this Prosecco tasted more like sparkling apple cider than it did like sparkling wine. While it’s hard to find a decent kosher sparkling wine, the kosher wine industry has made such drastic improvements in the quality of wine that is produced, it seems a shame to settle for a sparkler that just doesn’t live up the expectations.